A brutal disease is ravaging Florida’s reefs. Stony coral tissue loss disease first cropped up in 2014 in the shallow waters near Miami, before spreading north along the coast as well as south and west into the Keys. Roughly 80 percent of Florida Reef Tract, a system similar to a barrier reef, is now affected. In response, scientists studying the disease are teaming up with institutions and the public in a massive coordinated effort to stem the spread of stony coral tissue loss disease and look ahead to someday restoring the reefs that have already been damaged. As its name implies, the disease causes the coral’s colorful tissue to slough off a colony, exposing its bright white skeleton, says Erinn Muller, a coral reef ecologist at Mote Marine Laboratory. This is death of coral tissue itself, unlike bleaching, which occurs when coral lose their symbiotic algae. 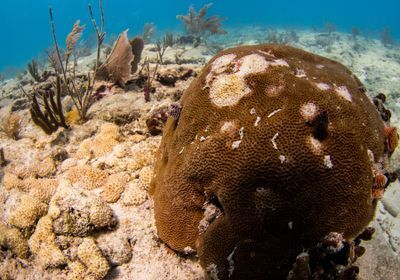 The pathogen’s identity is yet unknown, but about half of Florida’s 40-some coral species are susceptible, with some, such as pillar corals, being completely wiped out in areas hit by the disease. One step is to figure out what causes stony coral tissue loss disease. 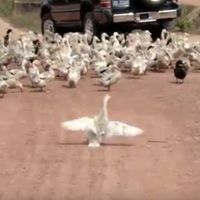 Muller and a consortium of scientists are working to pin down the identity of the culprit, which looks to be bacterial, as antibiotics can thwart the disease. Some of the disease detectives are working with culture-based methods to try to grow the bug, while Muller’s work centers on sampling and sequencing the microbiome of affected corals. So far, Muller and collaborators have detected a couple of types of bacteria, sometimes found in healthy corals at lower abundances, that dominate sick corals’ microbial communities. The team has also grabbed DNA from waters near diseased corals and noticed increased numbers of the suspect microbes they’ve identified. 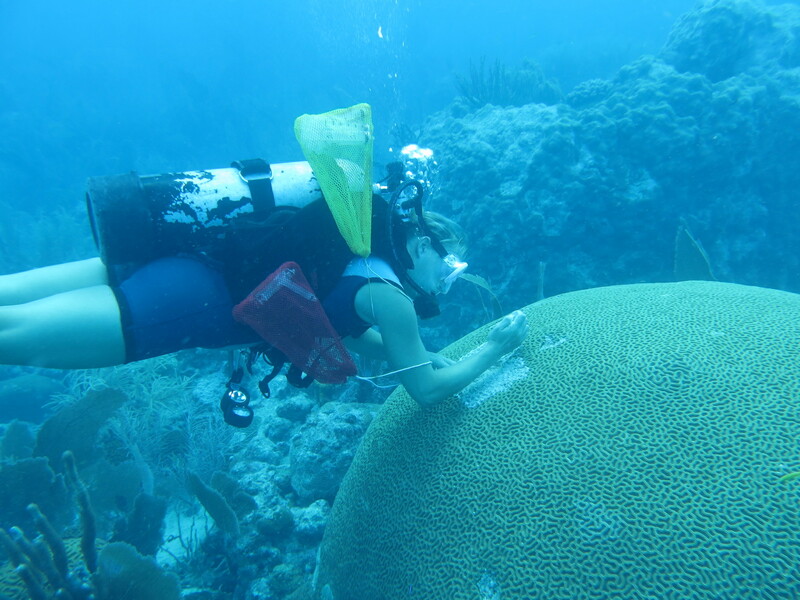 Erinn Muller studies corals in the Florida Reef Tract. Meanwhile, others are working to fight the disease’s spread on the reef. One approach is to use a chlorinated epoxy resin that forms a physical barrier to isolate the affected area while the chlorine kills the microbes. 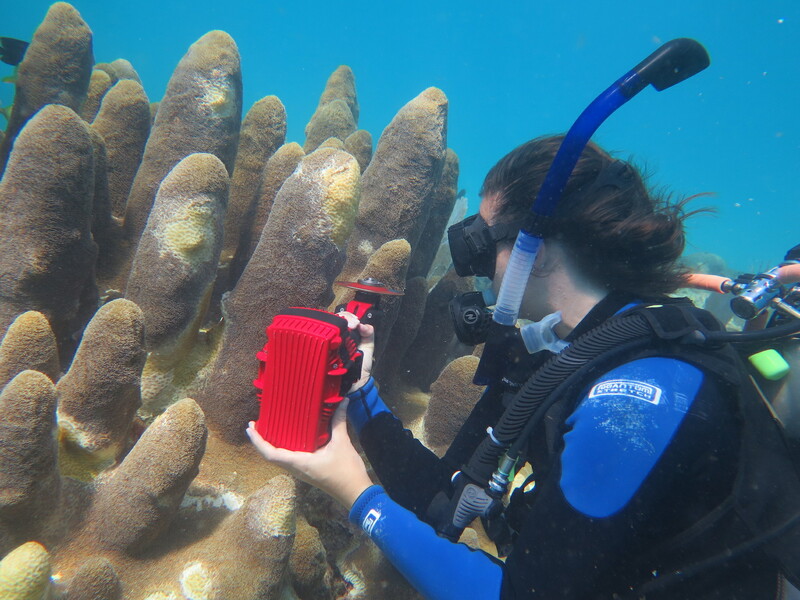 Neely’s team smothers diseased patches on corals in the Keys with the treatment, then slices through the tissue using an underwater angle grinder about five centimeters away from the diseased part of the reef to create a “firebreak” that keeps the disease from spreading any further. She describes the technique as somewhat “medieval,” akin to amputation or sticking leeches on people. 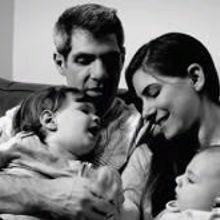 “But it is what we have right now,” she says. 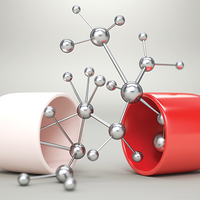 Researchers have also been experimenting with antibiotics. 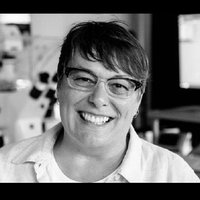 In the lab, Neely and her colleagues have seen the disease knocked out when tanks are dosed with amoxicillin, for example. But dosing the reef can’t be done in open water. Instead, a Florida-based pharmaceutical manufacturing company has designed a gel to deliver the drug to afflicted corals. 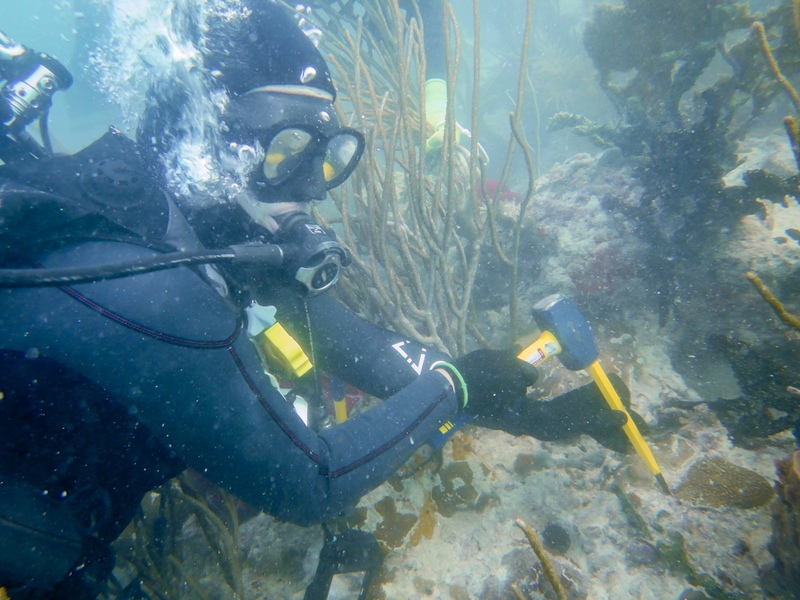 Nova Southeastern University graduate student Murphy McDonald uses an angle grinder to prevent the spread of disease on a diseased pillar coral (Dendrogyra cylindrus) at Sombrero Reef. Two FORCE BLUE members, Jay Casella and Angelo Fiore, apply amoxicillin treatments to an Orbicella faveolata coral at Carysfort Reef. 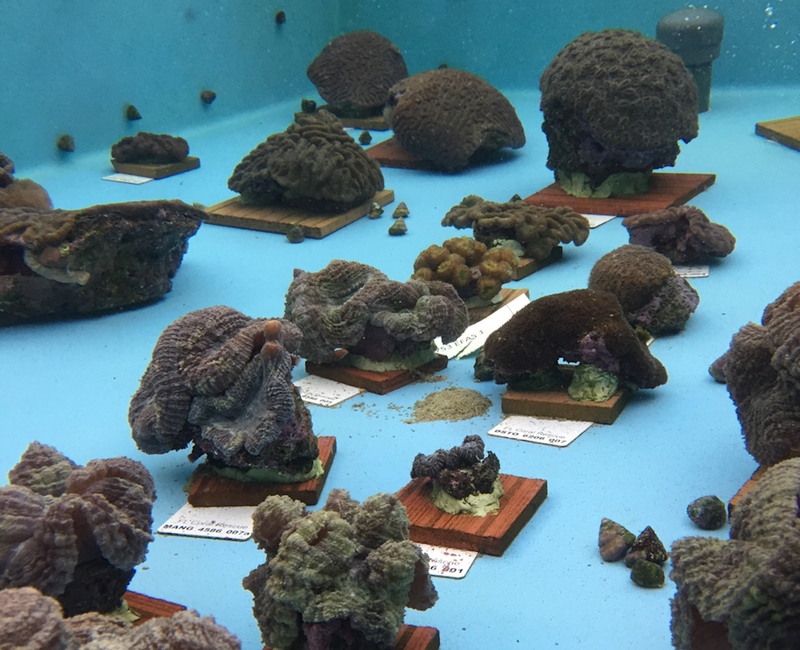 It has been a logistical challenge to raise funding and find partners to house and care for corals for such a long period of time, but scientists have pushed forward because, for now, many see it as the only option to save the reef’s biodiversity. Stony coral tissue loss disease is attacking many large framework-building corals, including some that are hundreds of years old. These reef architects can’t be replaced quickly, and their loss will change the reef and alter the populations of fish, crustaceans, and other creatures who call it home. “The reef will be fundamentally different after this event for some time to come,” Ruzicka says. He and others hope that banking the corals to plant later could jumpstart the reef’s future restoration. 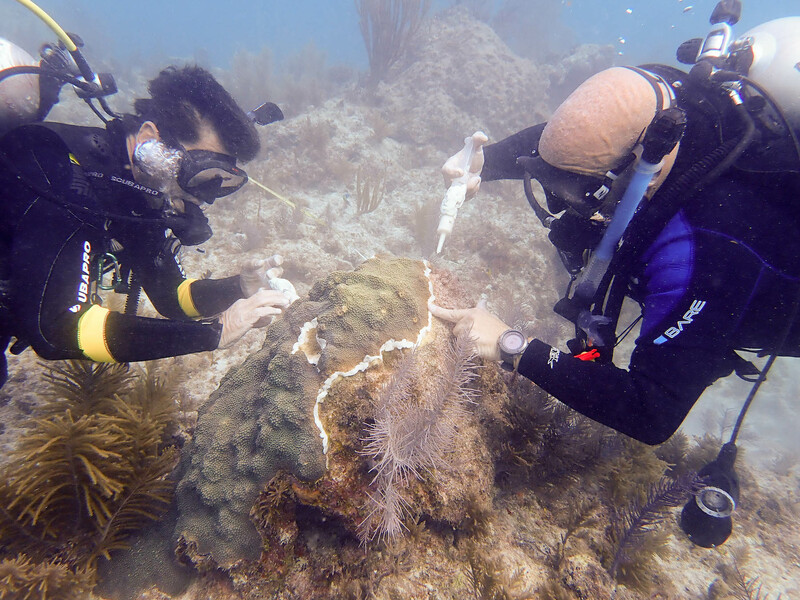 Florida Fish and Wildlife Conservation Commission coral scientist Stephanie Schopmeyer carefully chisels an elliptical star coral off a reef in the Lower Keys. 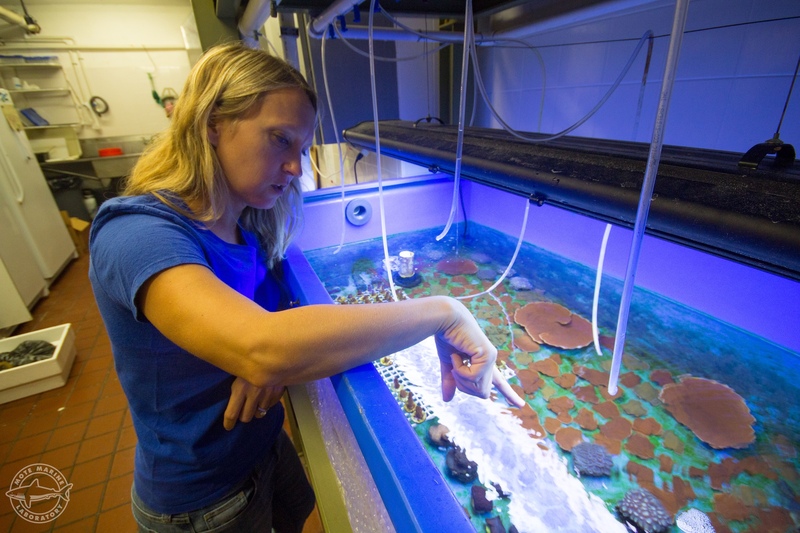 She will bring the coral back to the lab for captive breeding and future reef restoration. If there’s any good news, it’s that Florida’s branching corals, which were hit hard by white band disease in the 1970s, don’t seem to be susceptible. And scientists, including Muller and her crew at Mote, are working on putting tens of thousands of aquarium-raised branching corals back onto the reef.